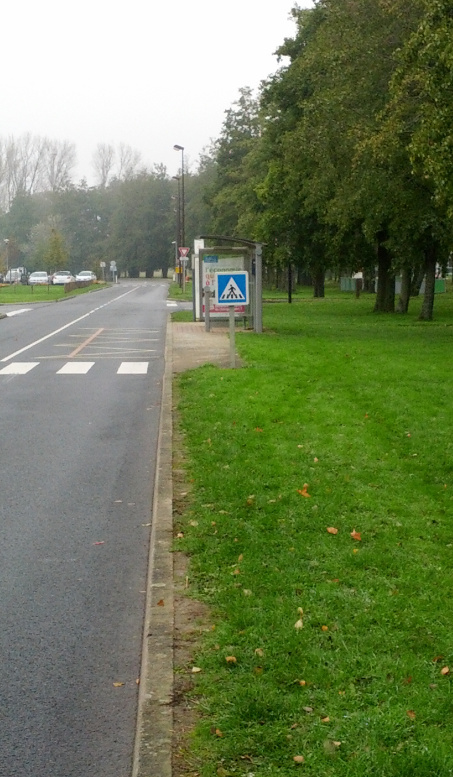 Here are some detailled directions to get to the Alan Turing building and the lecture halls. 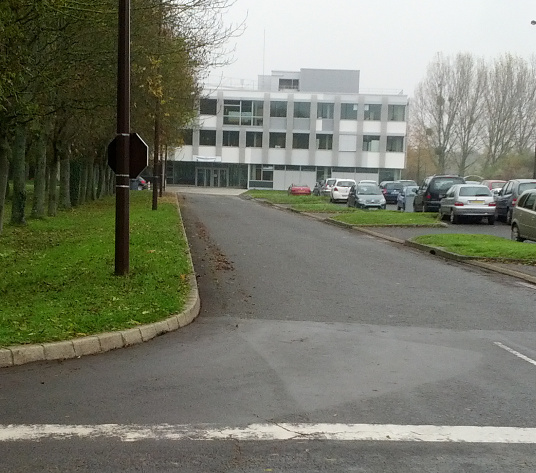 Directions available on the INRIA Saclay web-site. We strongly recommend that you take a bus from Massy-Palaiseau. The following buses serve the Polytechnique: 91.06 B, 91.06 C, and 91.10. Do not get on 91.06 A or 91.06 D — they have no stops in the Polytechnique. Go to the right (east) on the path and then look left (north). You will see the Alan Turing Building in the distance. At the entrance, press the call button below the speaker. In the lobby of the Alan Turing Building, sign in with the reception. Remember to ask for your wireless access on the INRIA-guest network. The building also supports eduroam. 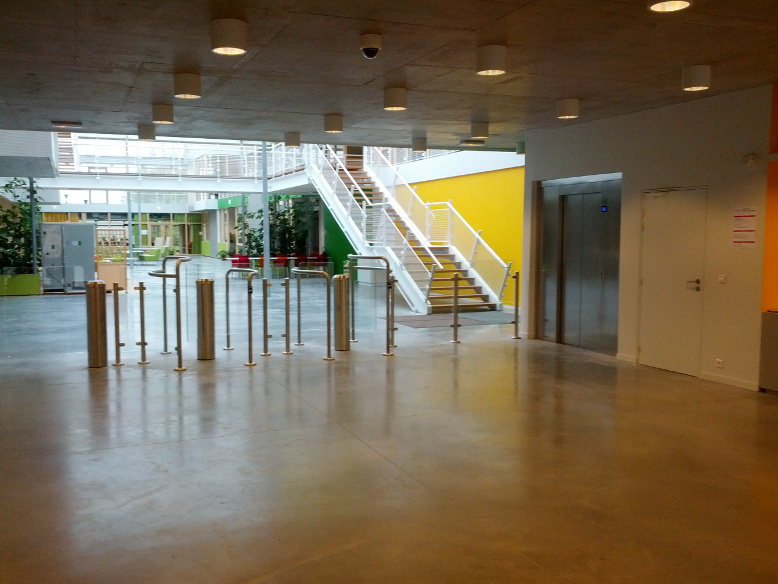 The Gilles Kahn room is through the turnstile (the receptionist will open it for you) to the right just past the plants in the image below. The Grace Hopper room is at the end of the atrium.